Well……….what huge excitement! The Viking’s Nativity Play. Sapphire and me still had no idea who he was going to be. He had kept this a secret for such a long time. We couldn’t believe our eyes when the curtains opened. There was our naughty little brother looking very grown up and important sitting on a chair beside his friend Hazel. They were Joseph and Mary. We started to clap straight away. All through the play The Viking sat still. 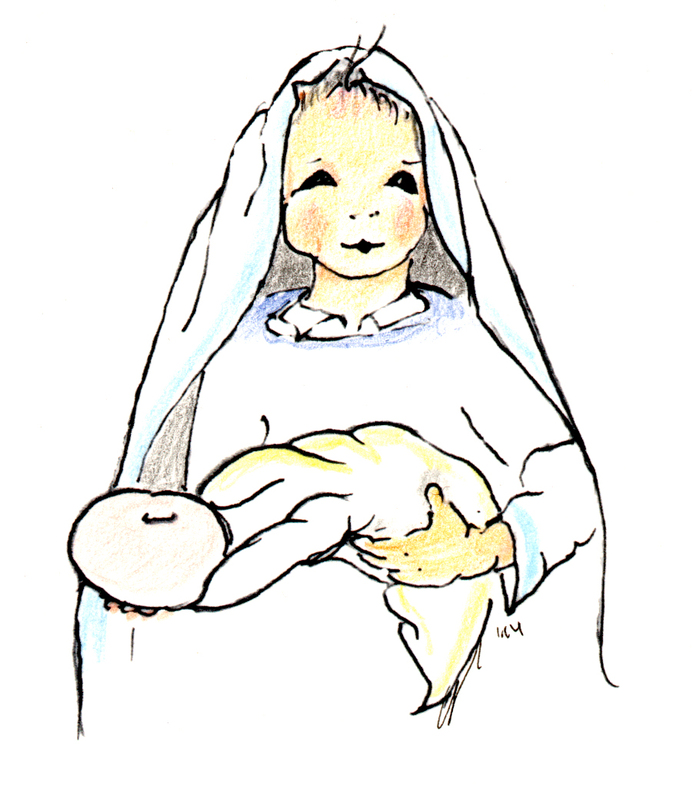 Once he picked up baby Jesus and cuddled him then he put him back in the manger. 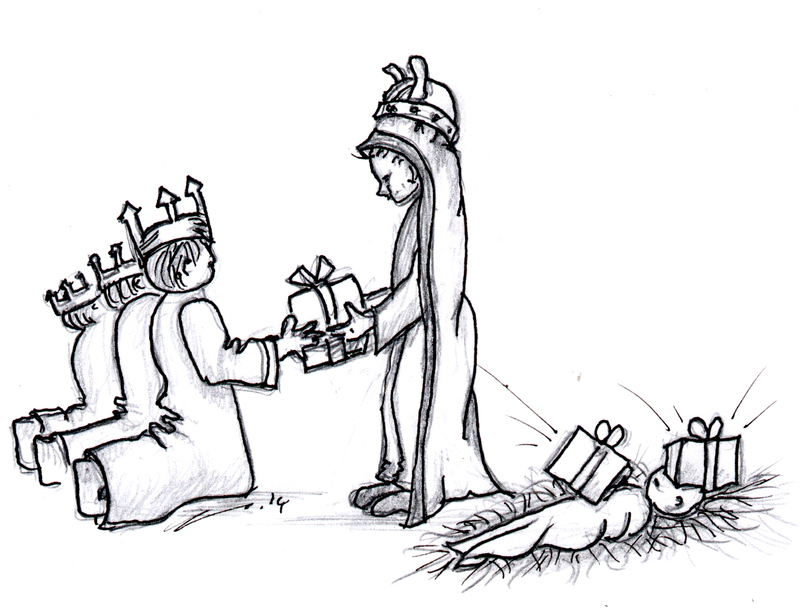 But when the three Kings brought their presents The Viking piled them up on top of the baby Jesus. I laughed, but Sapphire, who looks after her dolls very carefully, didn’t think it was funny. There was lots of singing of lots of Christmas carols. Sapphire and me thought they were all very clever knowing the words because all of the angels and shepherds and Kings are only 3 years old just like The Viking and Hazel. This is our last Blog of 2014. Sapphire, The Viking and me hope you all have a very Happy Christmas. Thank you for all your kind messages.